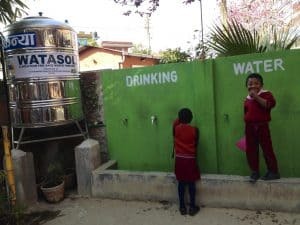 The project put in place by our Nepalese partner, ECCA, aims to improve access to drinking water in schools and communities in central and eastern Nepal, through the bottling and sale of chlorine, produced using WATA technology. ECCA, which stands for Environmental Camps for Conservation Awareness, is an environmental organisation that focuses on raising awareness through young people in schools, as pupils provide excellent communication channels with communities. ECCA therefore raises awareness about hygiene measures, access to drinking water and reducing school absences due to water-borne illnesses. 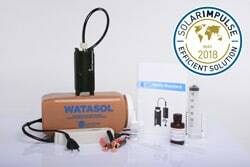 The organisation has developed educational support programmes concerning hygiene and chlorine (information notices, questionnaires, stickers for chlorine bottles, flyers, T-shirts, caps, and WATA bags). Thanks to the use of Mini-WATA, schools produce their own chlorine to disinfect water and communal toilets. These programmes now work in more than 40 schools. In parallel, ECCA has also developed a laboratory producing its own stabilised chlorine, which it sells on an ad hoc basis to associations, NGOs, schools, and small businesses. The use of chlorine is also promoted to traders, such as those who sell bottled water. ECCA was able to form a social enterprise in 2015. 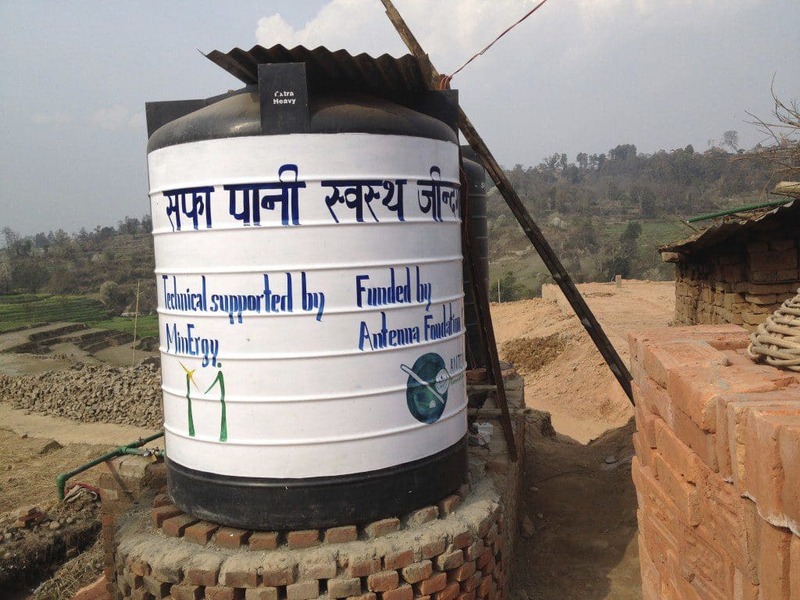 MinErgy’s Safe Water Project aims to reduce absenteeism at work due to waterborne illnesses by supplying factory water tanks with chlorinated water. Social mobilisers working on the MinErgy project have taken charge of raising awareness about water-borne illnesses. They use test tubes to test the presence or absence of coliform bacteria in the water. If the solution is contaminated, the sample turns black. This is an excellent way of demonstrating that although the water is clear, it is not necessarily safe. This approach could become a model that is made available to brick factories in the Kathmandu Valley. The project’s objective is to find a viable model for the distribution of treated water to labourers in cooperation with business owners and workers themselves. The model must be acceptable from a social point of view for labourers and entrepreneurs; it must also be accessible for labourers, while remaining cost effective for the supplier; eventually it must use clean technology.